Italian ice cream or gelato as it is known, is a traditional and a popular dessert in Italy. While many traditional flavours are sold anywhere, cafes may also sell unique flavouurs like nata, crema catalana, or tiramisu. This frozen treat will make your insides feel like the temperature is taking a plunge, but your heart will be warm at the thought of a taste of gelato. Not just any frozen treat can be called ice cream. Other frozen desserts, such as sorbets, low-fat ice cream, and frozen yogurt, are not technically ice cream at all. But there is so much more to taste: Mexican mango chile paletas, Korean bingsoo, or fine-shaved ice with sweet red beans, sesame, and soybean powder, and Vietnamese avocado milkshakes. The ice cream category generally refers to frozen dessert containing cream, sugar and flavoring. Ice cream is different from gelato, and we’ll explain how. 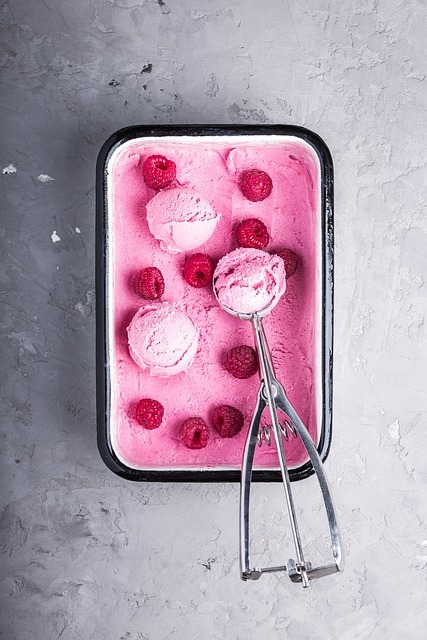 Gelato differs from ice cream because it is mostly milk and sugar with little cream and little to no egg yolks, sometimes using cornstarch to thicken instead. The history of ice cream in the 20th century is one of great change and increases in availability and popularity. While the notion of freezing sweetened cream dates back to the 16th century, and the royal courts of India and Europe, the ancient Persians were making iced desserts at least 1,000 years earlier. Although around 1800, insulated ice houses were invented and ice cream became popular throughout the world in the second half of the 20th century after cheap refrigeration became common. Wide availability of ice cream in the late 19th century led to new creations. Ice cream was made by hand in a large bowl placed inside a tub filled with ice and salt. In Europe and early America, ice cream was made and sold by small businesses – mostly confectioners and caterers. One important development in the 20th century was the introduction of soft ice cream, which has more air mixed in thereby reducing costs. The air whipped into ice cream actually plays a role in texture and flavor delivery. As more prepackaged ice cream was sold through supermarkets, traditional ice cream parlors and soda fountains started to disappear. More recently, ice cream is now associated with being a great person and doing very good work, though the product is in fact not all that very good for you. Typical ice cream has tons of sugar, and all sorts of other crap in it that many don’t consider a healthy choice. The U.S. ice cream industry sells more than a billion gallons of ice cream each year, dispensing cones, gallons, pints, sundaes and other desserts through grocery stores and ice cream shops. Keep in mind that saturated fat should still be only five to seven percent of calories, and most full-fat dairy products are higher in calories than their low-fat counterparts. Making ice cream helps your creative side shine – what flavors should you incorporate in the ice cream, and how will these play well together? Although ice cream can be easy to make at home, it is actually a very complex substance.Ice cream is a colloid, a type of emulsion. Once the ice cream is spun, it’s like soft serve – it’s completely edible but definitely not scoopable. You have to be careful not to overdo it with a blast of different flavors which can cause the sundae to become muddled and headed for the trash can. Ice creams are conventionally stored in supermarket freezers at temperatures of about -20° F.
There are lots of distinct recipes out there. There are also many ways to enjoy buttermilk ice cream. The classic recipe mixes cream cheese and tangy buttermilk, and you can then fill it with add-ins like candy pieces, crushed cookies, or spices. Higher-fat ice cream bases are more forgiving, because they contain a lower percentage of water to crystallize and ruin the creamy texture. The hand-cranked churn method produce smoother ice cream than the pot freezer and did it quicker, and as long as you have enough ice and rock salt you can turn ice cream all day. If you want to make ice cream only a few times during the summer months, and you’re not looking for the smoothest texture possible, this kind of machine might be a good option.